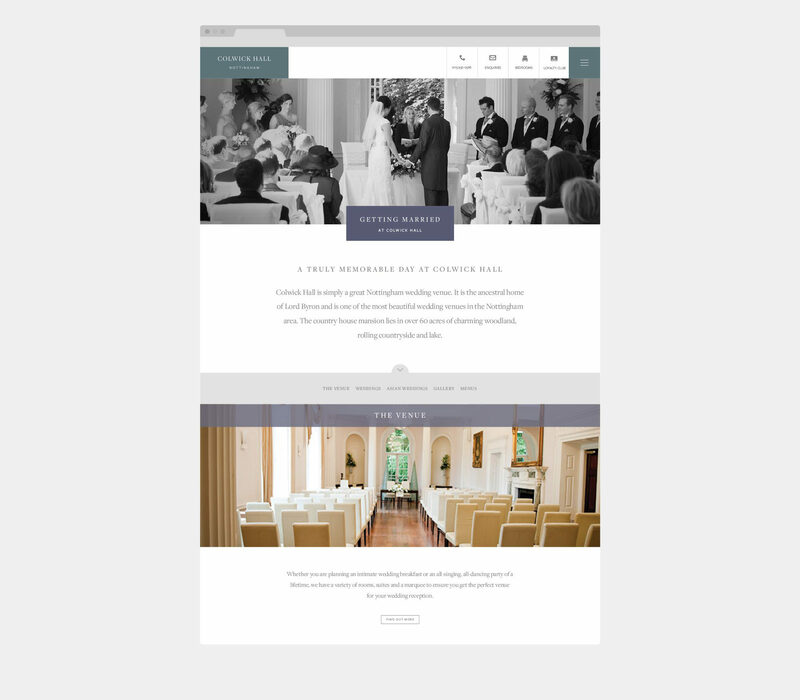 Website design and build for wedding and events venue. Colwick Hall Hotel is a magnificent Palladian style Georgian country house mansion nestling in over sixty acres of parkland. A historic building dating back to Saxon times and once the ancestral home of Lord Byron, making it one of the most popular weddings and event venues in Nottinghamshire. We have supported Colwick Hall for a number of years on a variety of design requirements including; brochures, marketing literature and promotional materials. 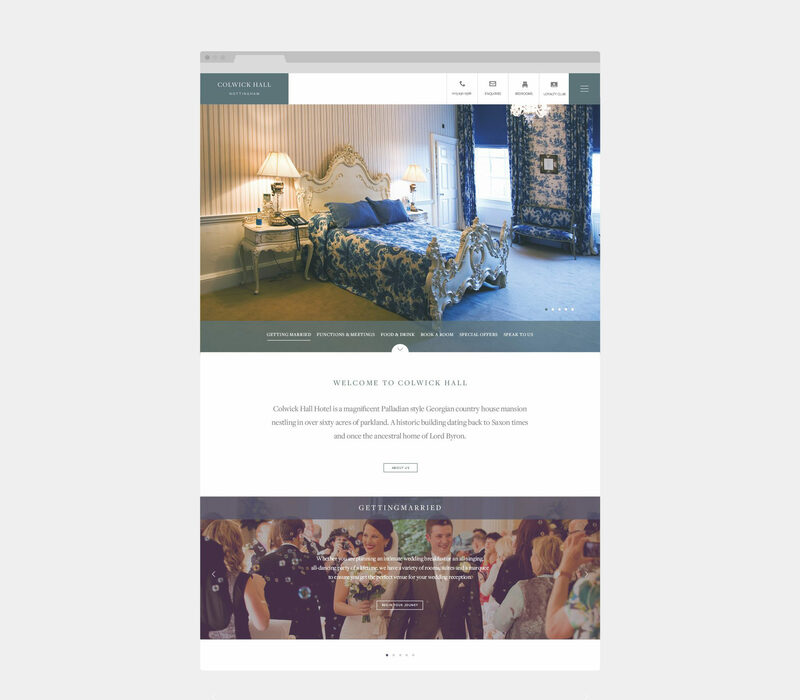 More recently we reworked their identity and how they present themselves, creating a new website design, events and wedding brochures and visual guidelines outlining a refined colour palette for each of their main business areas.